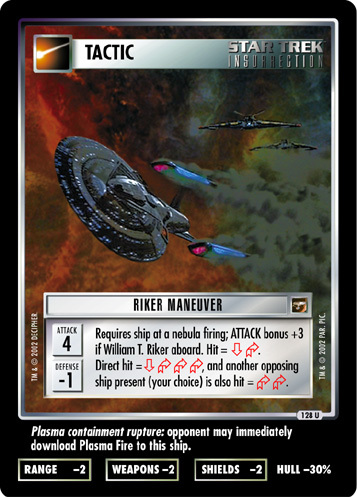 Requires a ship at a nebula firing; ATTACK bonus +3 if William T. Riker aboard. Hit = . Direct hit = , and another opposing ship present (your choice) is also hit = . Plasma containment rupture: opponent may immediately download Plasma Fire to this ship.